Enhances the overall graduate experience at MIT by promoting the general welfare and concerns of the graduate student body. 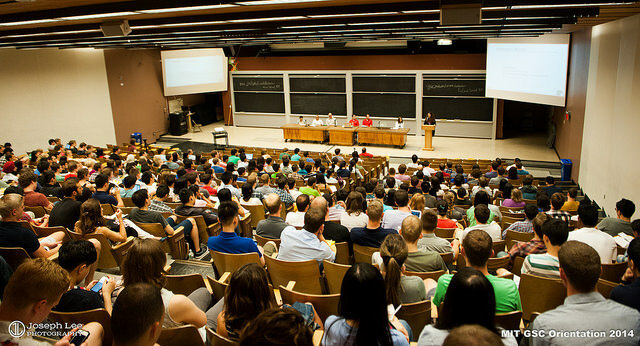 The Graduate Student Council (GSC) exists to enhance the overall graduate experience at MIT by promoting the general welfare and concerns of the graduate student body, creating new programs and initiatives to provide opportunities for growth and interaction, and communicating with the MIT Administration and Faculty on behalf of graduate students. Each GSC committee, subcommittee, and board is led by up to two co-chairs. Each group meets monthly to discuss committee logistics and issues pertaining to the scope of their mission, charge, or program area. The GSC supports a variety of funding opportunities throughout the year for student groups, individuals, and council representatives.